*Corresponding author: Vikas Ahluwalia, Max Super Speciality Hospital, India. How to cite this article: Vikas A. Metabolic Outcomes of Bariatric Surgery in Obesity Management: Indian Perspective. Curre Res Diabetes & Obes J. 2018; 8(4): 555744. DOI: 10.19080/CRDOJ.2018.08.555744. Obesity is defined as a medical disease in which excess body fat has accumulated to the extent that it may have a negative impact on health. Obesity has been a global burden in the society, destroying nations medically and economically. It is considered when the body mass index (BMI), is over 30kg/m2, with the range 25-30kg/m2 defined as overweight. India is one of the countries with the highest prevalence of obesity. The term obesity is a major part of metabolic syndrome, where parameters like abdominal girth, fasting sugars, blood pressure, serum triglycerides and high-density lipoproteins are playing the key markers. The most important causes leading to obesity are excessive food intake, sedentary life style and genetic causes. Others may be some endocrine disorders and medications Obesity is a major risk factor linked to diabetes, hypertension, dyslipidemia, cardiovascular disease, stroke, osteoarthritis, depression, cancer and early death. There is a requirement for optimal integration with multidisciplinary approach i.e lifestyle modification + pharmacotherapy + bariatric surgery for current management of obesity. Changes in diet and exercising are the main treatments for obesity. Reducing the consumption of energy-dense foods and increasing the intake of dietary fiber should be incorporated in diet plans. Some medicines may be used, along with a suitable diet that reduce appetite or decrease fat absorption. If multiple attempts in diet control and exercise fail then surgery for obesity is considered either by a balloon dilatation, gastrectomy or bypass to reduce the area of absorption in the stomach and intestines. Bariatric surgery has gained popularity worldwide as a treatment for obesity. It is associated with long-term weight loss and improvement in obesity related conditions. The term – Diabesity (diabetes + obesity) is a constellation that includes obesity, insulin resistance, metabolic syndrome and type 2 diabetes. Bariatric surgery has shown marked improvement in management of diabesity. Overweight and obesity have a significant economic impact on health systems and the medical costs resulting in a big burden to the country and worldwide. -To assess resolution of Diabetes Mellitus after surgery. -To assess resolution of Hypertension after surgery. -To assess change in BMI. -To assess change in Waist circumference. We conducted a retrospective study on 69 patients (males-27 and females-42) who underwent bariatric surgery (RYGB) in the Minimal Access Metabolic Surgery Institute, Max Hospital, Delhi, India. Enrollment was done after taking consent from the patients who were operated since 2012 and completed the 3 year follow up protocol till 2017 (Figure 1). The mean age was 48.3 years (range 40-62 years). The duration of the study was 2012 -2017.the selection criteria of these patients were BMI 30-35Kg/metre sq, HbA1c >8.0mg/dl and willingness to comply with the follow up protocol. 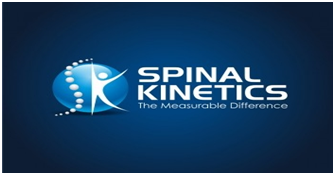 Continuous data are presented as means±standard deviation and changes in metabolic parameters were evaluated using SPSS software, version 12 and p- value <0.05 were considered significant. 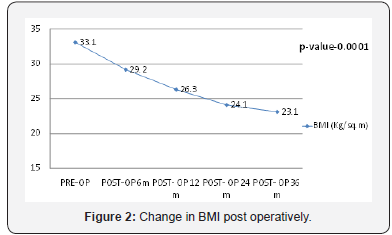 (Figure 2) shows a statistically significant decrease in the Body Mass Index of patients who underwent the surgery. 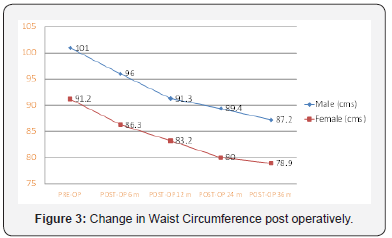 (Figure 3) shows the decrease in the waist circumference of the males and females. Some of them falling the below the cut off value for metabolic syndrome. 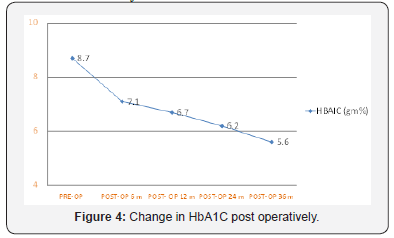 (Figure 4) shows the significant decrease in HbA1C values in patients undergoing the surgery, with 88.4 % patients undergoing remission. 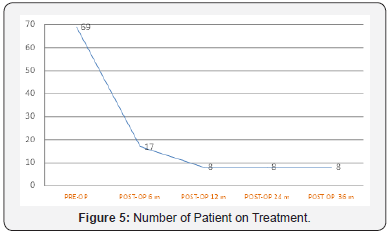 (Figure 5) shows that among the patients who underwent surgery, only 11 % were on the treatment, at the end of 3 years post operatively. 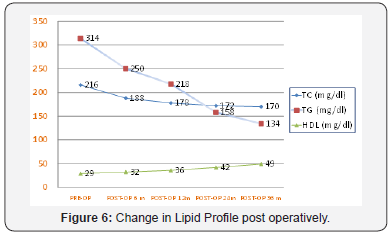 (Figure 6) shows the improvement in Lipid profile unto an extent that 74.6 % patients landed into remission after the surgery. 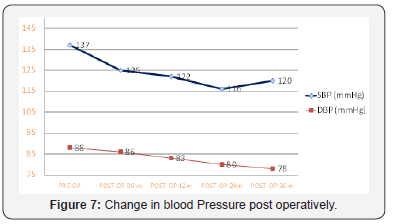 (Figure 7) shows the changes in blood pressure, systolic and diastolic) post operatively. 58 % had a normal blood pressure post-surgery. (Table 1) Our study is in accordance with the study conducted by Cohen et al where they had 88 % resolution in the prevalence of Diabetes, as compared to ours (88.4%). (Table 2) Our study results are like the one conducted by Cohen et al in terms of resolution of hypertension post-surgery (58% vs 58 %). 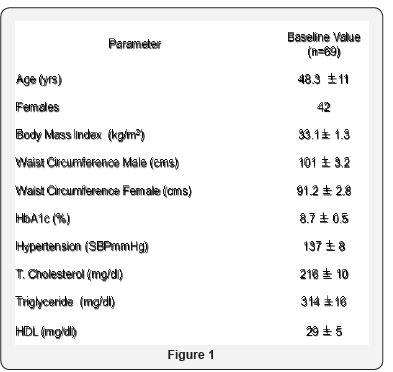 (Table 3) As compared to Cohen et al, our study shows a greater reduction in levels Serum Cholesterol (64 % vs 72.7 %) & Serum Triglycerides (58% vs 82.1 %). The study concluded that bariatric surgery can be considered as a treatment option for poorly controlled diabetics with BMI 30 to 35kg/m2. The negative outcomes of obesity are greater than the risk of surgery as the treatment option. Ramsay SD, Newton K, Blough D (1999) Incidence, outcomes, and cost of foot ulcers in patients with diabetes. Diabetes Care 22(3): 382-387. Hinchcliffe RJ, Andros G, Apelqvist J (2012) A systematic review of the effectiveness of revascularisation of the ulcerated foot in patients with diabetes and peripheral arterial disease. Diabetes Metab Res Rev 28(Suppl 1): 179-217.